New images of the Moto G (3rd Gen) have hit the web, showing off its new backside design, but an overall unchanged frontside. The images are press renders, posted by TechnoBuffalo, giving us a possible best look yet at the upcoming mid-range device from Motorola. Besides what it looks like, not much is known about the phone, including specs and release information. It is rumored the Moto G will feature a 5″ HD 720p display, Qualcomm-made Snapdragon 410 processor, 1GB of RAM, and a 13MP rear-facing camera. On the backside, we see Motorola has a plastic-looking piece going vertically up the housing, giving the phone a rather unique look. Why Moto did this, we do not know. Could it be a button? Possible, but rather unlikely. Early reports suggested that the Moto X (2nd Gen) would feature a button, but it turned out to be just an odd design. Share your thoughts on the new design below. 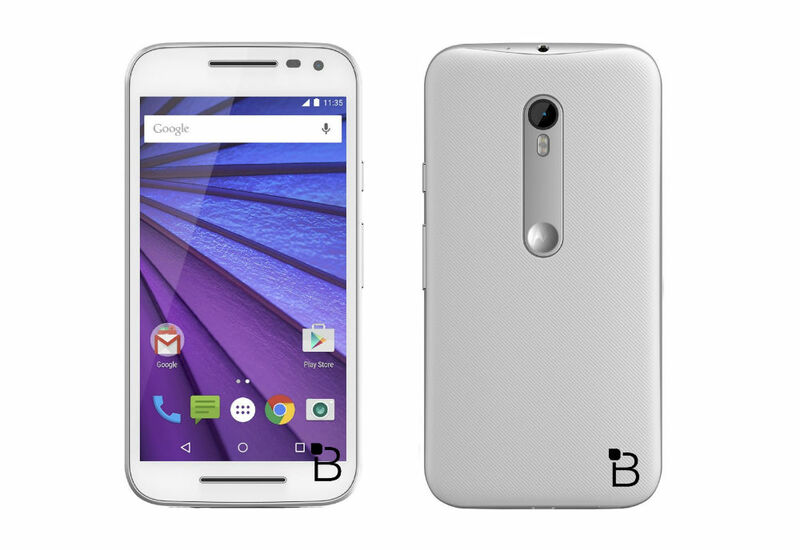 Is this what we should expect from the new Moto X, as well?